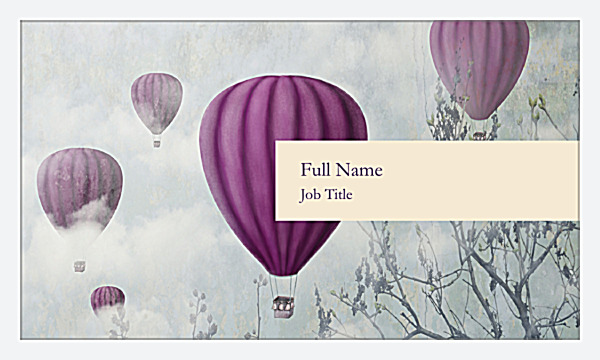 Add a touch of whimsy to your business with our Artist Take business card template, a perfect choice for artists, crafters, boutique owners, florists, balloon retailers, and hot air balloonists. The front showcases your name and title amid a field of hot air balloons floating above tree branches. Customize the design by uploading your logo, prominently featured on the solid-colored back along with your contact information. Artist Take is fully customizable with three color options and four edge shapes. The sky’s the limit when you use our online design tool! 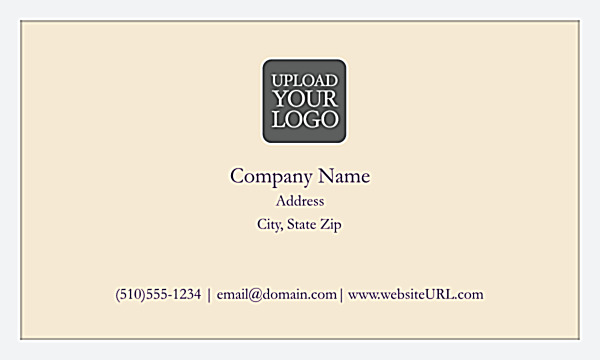 Use our online business card maker to create professional-looking business cards uniquely geared to match your brand. PsPrint’s online design tool makes it fast and easy to select your color options, upload your logo, and add your custom text. After you’re satisfied with your design, all that’s left to do is print. Consider folded business cards or triple-thick ultra business cards to further customize your business cards and help them stand out against a sea of competitors. You don’t need a professional graphic designer to get professional-quality business cards. Affordable pricing and great value make PsPrint the perfect business card printer for your company. And don’t forget our customer satisfaction guarantee ensures your customers will be blown away with your business card design!